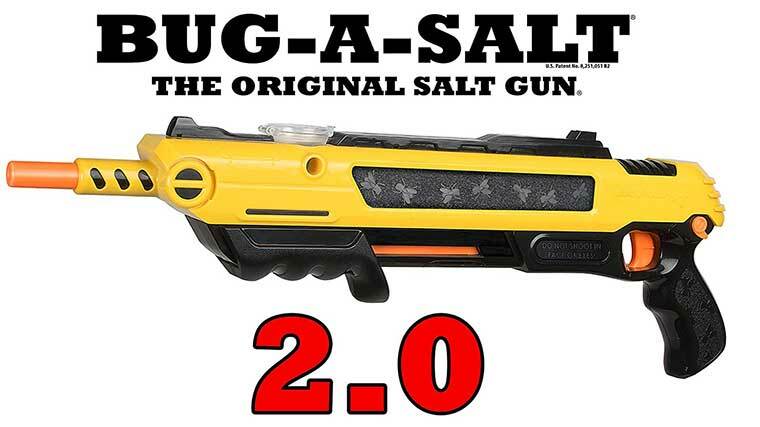 This 2nd generation bug shotgun has a new and improved design that shoots salt even further. With more power and more stopping power bugs don’t have a chance. The handle pumps like a water gun. Just one pump is all it takes to load the gun and can blow bugs apart with one shot. 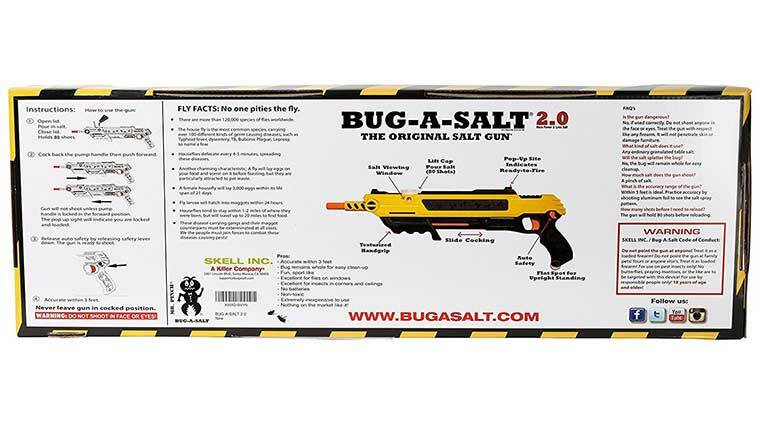 It is made by the Bug-A-Salt company and is the original bug gun that shoots salt. This is the upgraded and improved 2.0 version. This insect gun shoots salt like a shotgun to effortlessly annihilate insects. Easily shoot those annoying flies out of the air and kill those spiders from a distance. Missing with rubber bands is a thing of the past with this Bug-A-Salt gun. Click on the link to read thousands of customer reviews on amazon and learn more about this great gift idea. Just to note again, this is the upgraded 2.0 version.